Even with the extended time of Titebond III, it was a little crazy getting this thing buttoned up. It has been a week of high temps and high humidity, which certainly didn’t help. I also had a fan running, which probably wasn’t the best idea. In the end, everything went together as it should. I went through a couple of test runs, and made sure to lay out my clamps ahead of time. Then I took a bathroom break, got a big drink, and took a deep breath before I began the “clamp dance”, as I am calling it. 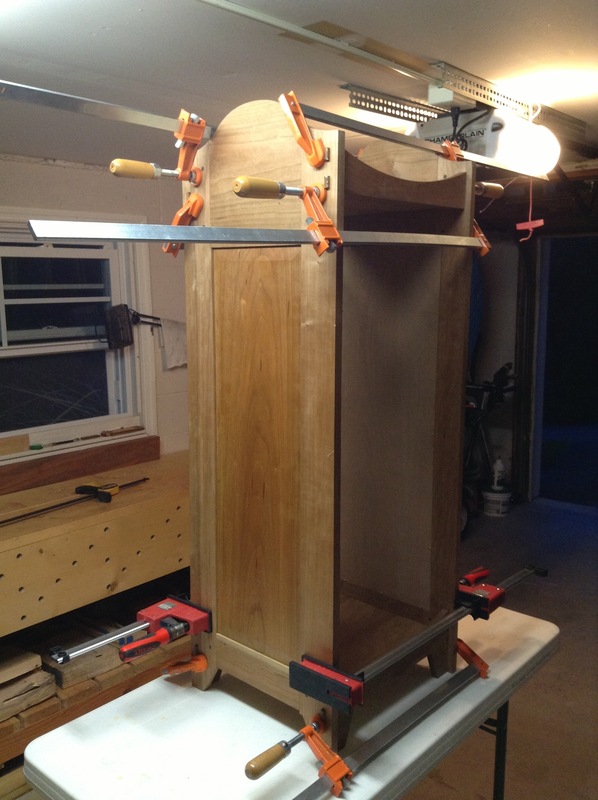 I waited about an hour before taking all the clamps off, then went to bed satisfied with the results. 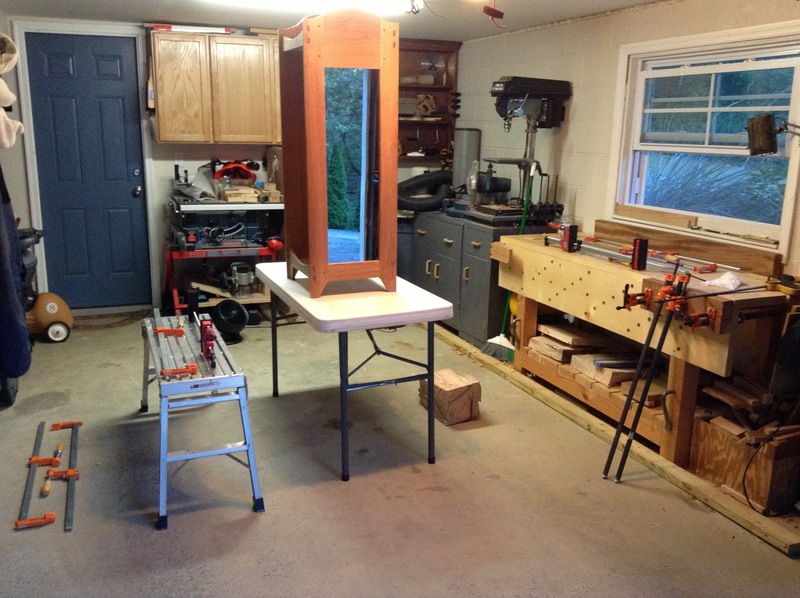 This entry was posted in Chiffonier, furniture, hand tools, VCF, woodworking and tagged bessey clamps, cherry, chiffonier, furniture, glue-up, hand tools, woodworking by villagecustomfurniture. Bookmark the permalink.